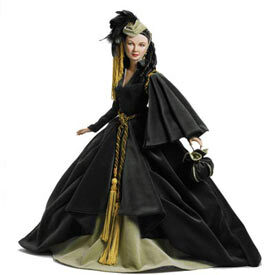 Robert Tonner, known throughout the world for his award winning Robert Tonner Dolls and fashions, began his career as a head designer for Bill Blass after graduating from the Parsons School of Design. In recent years he has combined his fashion experience with sculpting and design talents to produce the unique and appealing dolls that have established him as a leading doll artist. What makes Robert unique in the doll world is the fact that he is a collector himself. 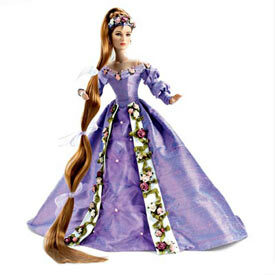 His knowledge and vision as a collector embodies the sublime beauty of the art of the doll. Through his designs, the Robert Tonner Doll Company recaptures the magic of classic characters such as Orphan Annie, Betsy McCall, Mary Engelbreit’s Ann Estelle, Superman, and Lois Lane. Inspired by his own passion for doll collecting, he sculpts and designs dolls ranging from high fashion American Models, to storybook fairies, to little girl dolls that reawaken childhood memories. Robert is the immediate past president of the National Institute of American Doll Artists (NIADA) and his dolls have been featured in national and international media including People magazine, CNN, the Barbara Walters Oscar Night Special, Entertainment Tonight, and British Vogue magazine. A recent, and very special, honor was having another of his creations added to the permanent collection of the Museum of Decorative Arts at the Louvre complex in Paris. Doll collecting – How Do You Begin?